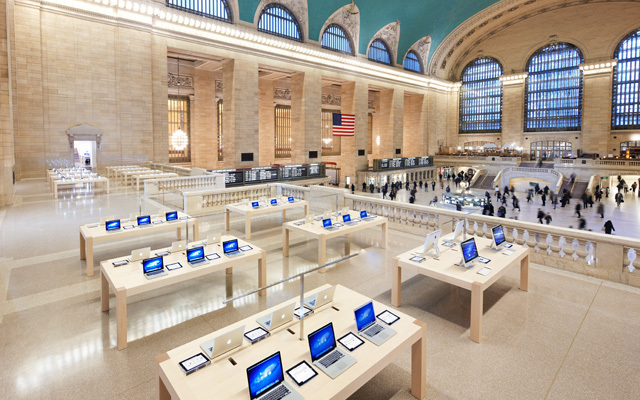 Apple know a thing or two about retail. They know how to create desire and community in a store, and also know that their stores are fundamental to their brand experience – but not the be all and end of it. And like everything else they do, their retail experience is nigh on perfect. 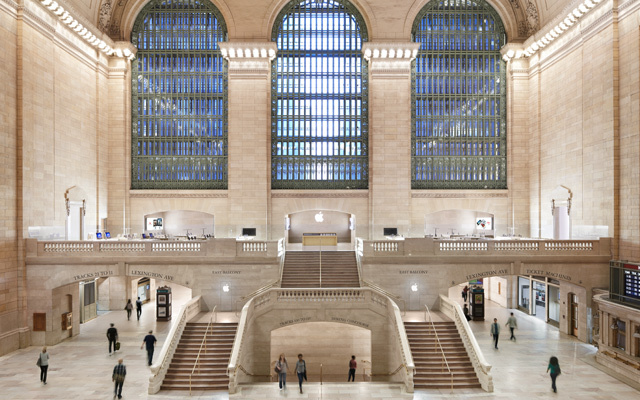 And the newest Apple Store to open is smack bang in the middle of one of New York’s iconic buildings – Grand Central Station. The store and the place have a symbiosis that I think would be impossible for any other brand to pull off. The design of the store is so completely sympathetic to its location that its hard to see where the store ends and the station begins. This is APPALLING! New York’s Grand Central Station is so iconic, is the backdrop to emotional scenes from many films and also a tourist destination in its own right. To me, it’s an abomination to have the Apple brand logo just above the iconic stairs, and utterly dreadful to place an Apple shop there. Made my heart sink to see it. It is sad to see such crass commercialism in one of my favourite places.